I’m thrilled to be included in the almost-published Book of the Dead by Jurassic London. The table of contents includes some of the writers I most respect and admire scribbling words down today – from upstart newcomers like the inimitable Molly Tanzer and co-south Londoner/stand-up guy Den Patrick to heavyweights Jesse Bullington and Gail Carriger, I couldn’t be more chuffed. A chunk of the proceeds will be going to the Egypt Exploration Society. The stories are all about mummies. The brief – which wasn’t so brief after all: Mummies are like zombies, but with stories, minds, and passion. My story is called “Henry”, and it’s a very personal story to me. The character is loosely based on a real person, who was a friend of mine, and who did die too young, though not in Egypt, and in unfortunate, but not mysterious circumstances. Last year, just two weeks before Mohammed Morsi’s election, I went to Egypt for a week to run a creative entrepreneurship programme. It was a curious time – and I wanted to understand it, to walk around the streets of Cairo and talk to people. There was no government, there was chaos, but there were also people, hoping, helping out. My hope with this is that I’ve merged the personal with the political. It’s one of the stories I’ve written that I’m most proud of. 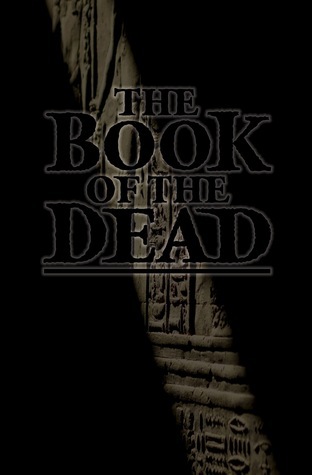 You can pick up a copy of Book of the Dead here (UK) here (US) or at a good bookstore. There’s also a super-duper limited edition – which comes mummified, for £30 at Spacewitch.